I am counting down the days and checking things off my list before surgery on Thursday. Except for the removal of my port (2 years post-diagnosis) this will be my final surgery of this saga. It is a completely optional surgery so I’m feeling a little weird about it. I never thought I’d actually have “plastic surgery”–but then, I never planned on a mastectomy either. I won’t say much about the upcoming surgery except this: The surgical cuts are done in the shape of an anchor. 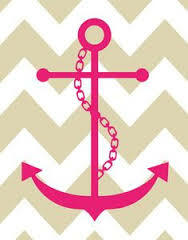 I’m finding that really interesting since an anchor has become the symbol for hope. You know those necklaces or charms that represent faith, hope and love? 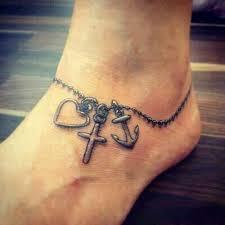 A cross, an anchor and a heart. I’m just finding it interesting after thinking about hope for a few months that I will have an anchor-shaped scar. Some nice quiet days at home. I have taken the next 10 days off from work. I am really looking forward to staying home and relaxing. I hope I feel good enough to read and write and maybe do a little sewing and some genealogy. The last few months have felt fast-paced and I’m anticipating a chance to slow down, even if just for a bit.